For many years, people were skittish about reverse mortgages. But now the popularity of reverse is on the rise as experts say that home equity is an increasingly important asset for retirement, according to a Huffington Post report. Those nearing retirement have fewer financial options than previous generations enjoyed. Many older Americans are simply unprepared for retirement, the Huffington Post reported – even if they’ve been diligent about saving. Most companies now offer 401(k) plans instead of once-common pensions – and 401(k)s have far greater risk and fewer benefits. And with seniors living longer, it costs more than ever to retire. That’s why financial experts are looking more closely at home equity as something to consider when planning retirement, according to the Huffington Post. The Commission on Retirement Security and Personal Savings recently found that there is $14 trillion worth of retirement assets in the U.S. – but most people will still fall short of the savings they’ll need to retire comfortable. However, the commission found that there is $12.5 trillion in home equity in the country. 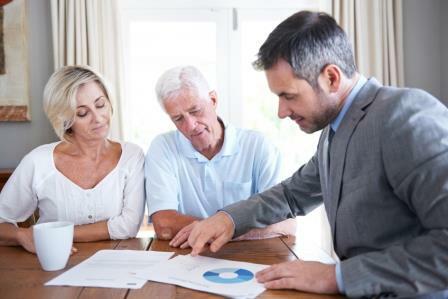 More and more seniors are finding that reverse mortgages are a good way for them to tap that equity, the Huffington Post reported. And with several options for receiving the money, borrowers can determine the best way for them to access their funds. Seniors can choose monthly payouts, lump-sum payments, or even a line of credit that can be accessed when needed. And seniors are finding the idea more attractive. A recent survey by the American College of Financial Services found that 44% of older Americans have considered drawing on their home equity during retirement.